Read these excerpts from our latest issue of the Inside Edge or jump straight to the entire issue [LOGIN TO SEE LINK]. Eleven years ago Epic first released Care Everywhere, its platform for connecting disparate EHRs. Today all of Epic’s customers are live with Care Everywhere and exchange 3.5 million patient records a day with 43 percent of that exchange happening with other vendors’ EHRs. “It’s grown very fast,” he says. 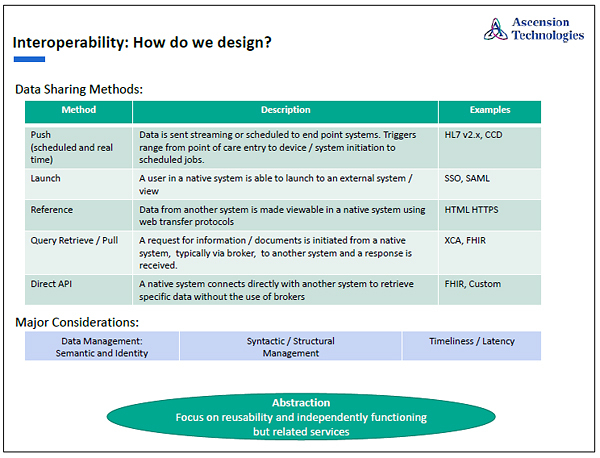 Eardley focuses most of his effort on internal interoperability. “We’re trying to have—not so much an EHR—but an ecosystem of partners. The same foundational information is in the EHR, but we want to be quick, agile and cost effective. That means using APIs, FHIR, SMART on FHIR, all geared toward having more interaction with data in the EHR,” he says. 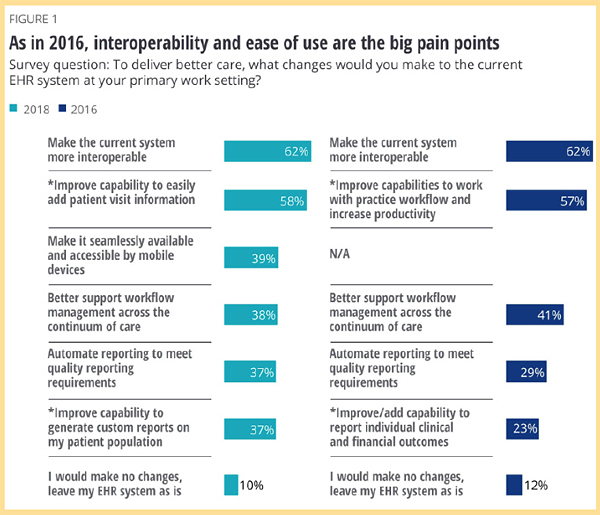 Deloitte’s 2018 Survey of U.S. Physicians* found that 62 percent of doctors believe that interoperability needs improvement, the survey’s highest-ranked issue. [see Fig. 1, below]. Importantly, the dial had not moved at all in two years: in Deloitte’s 2016 Survey of Physicians interoperability was the highest-ranked issue also at 62 percent.